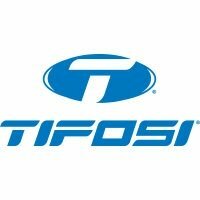 Tifosi Intense Sunglasses with 3 interchangeable lenses. For a high quality 3 lens interchangeable set that gives you optical clarity in all weathers, day or night, you’ll do well to better the Intense Interchangebles from Tifosi Optics. The Intense uses a virtually indestructible Grilamid TR90 frame with hydrophilic rubber temples, vented polycarbonate shatterproof lenses and an adjustable nose piece. Equipped with 3 lenses that are easy to interchange, the Intense Matte Black & Matte White include a microfibre cleaning pouch with external storage slots for the 2 sets of lenses not in use.